CyberPower Inc., a global manufacturer of custom gaming machines, today announced the Cyberpower ZEUS-M – a 14.1-inch screen ultra-responsive and ultra-sleek Ultrabook, inspired by Intel. For those looking for more power, CyberpowerPC is offering its Zeus-M2 model; which features the same powerfully efficient Core i5-3317U processor with 16GB of system memory and a 120GB SSD. No bulk gets added to either the Zeus-M or the Zeus-M2 despite the beefy system specs. 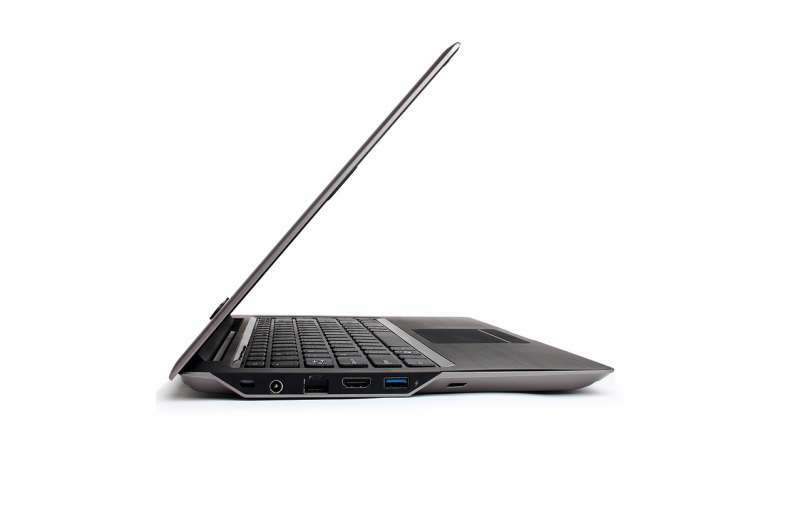 Both Ultrabooks measure under an inch thick and weigh less than four pounds. The Zeus-M continues the tradition of the Zeus series with a combination of a sleek and stylish exterior coupled with powerful internal components. Unlike other Ultrabooks, CyberpowerPC customers can customize the Zeus-M with additional memory and/or solid state drive options. The Zeus-M starts at a very affordable $699.00. While its slightly powerful counter-part, the Zeus-M2, starts at $799.00. The Zeus-M features onboard Ethernet and WiFi 802.11b/g/n, but takes connectivity a step further with Intel Smart Connect Technology. With Smart Connect, your email, favorite apps, and social networks are continually and automatically updated even when the system is asleep. No more waiting or fetching updates required; just lift the lid and you’re up to date. The Zeus-M also includes Intel’s Rapid Start Technology, which boots your system in a flash as it recognizes and automatically stores your most frequently used files and applications. CyberpowerPC protects your Zeus-M with Intel’s Anti-Theft and Identity Protection Technology. If your system is lost or stolen it can be disabled remotely. Identity Protection Technology helps prevent unauthorized access to your important personal information through two-layer hard-based authentication, which provides a simple way for websites and businesses to validate that user is logging in from a trusted PC. Other standard Zeus-M features include 3 USB 3.0 ports, 1.3/HD pixel webcam and integrated analog microphone, Bluetooth 3.0 support, and 24bit 2-channel audio support with a pair of stereo speakers. With its fast-starting, energy-efficient processor and chipset, the Zeus-M consumes less power, extending your battery life so you can work or play without recharging for up to seven hours, or several days on standby. CyberpowerPC loads every system, including the Zeus-M Ultrabook, with Microsoft Windows 7 Home Premium Operating System and includes a 1-year limited warranty and free lifetime phone support. For more information about the Zeus-M and Zeus M-2, check out the product page here.